Get Found online. Paid enables you to build an engaged following for your business. Your happy customers are your ambassadors to the world. Give them more reason to keep coming back and bringing their friends to your business. Incentivise your happy customers to refer their friends to your business. Reward both referer and referee upon each succesfull referal. Listening to your customers is the modern day R&D. Paid offers you easy to use tools to use to communicate with your customers and keep them engaged. Reach and allow more customers to reach you. Create a unique business description & a photo of your business. You have the opportunity to reach thousands of potential customers instantly. 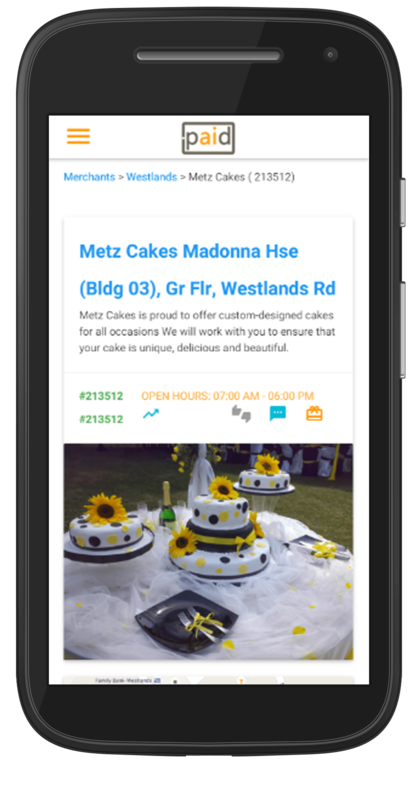 Access a greater audience for your business on paid listings today. 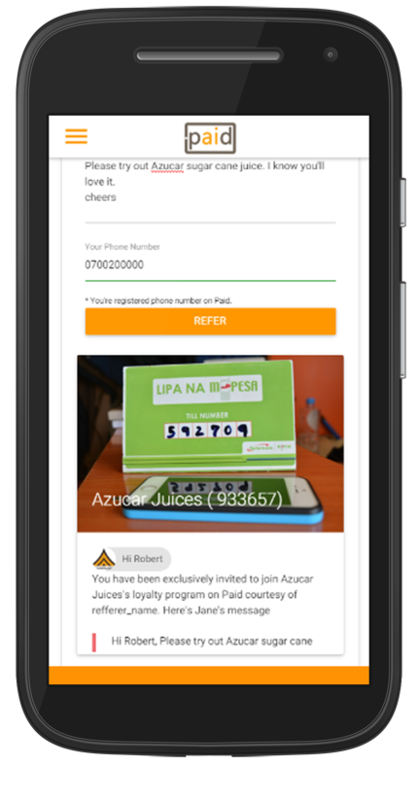 Paid is a customer loyalty platform that enables businesses to identify, attract and reward their most loyal customers through loyalty points and discount vouchers.